(Thiruvananthapuram, Jan 31,2019):The Kerala government Thursday set apart Rs 100 crore in the 2019-20 budget for the Travancore Devaswom Board, which manages the Sabarimala temple that faced an unprecedented a dip in revenue due to the recent floods and violent protests over the women''s entry issue. Finance Minister T M Thomas Isaac presented the annual budget for the year 2019-20 in which he lashed out at the "vicious propaganda" unleashed by some "politicians" that the government was "siphoning off the money" of the Sabarimala Ayyappa temple. Isaac said that his government would not allow anyone to ''destabilise the Board by dissuading devotees from offering money" and said Rs 100 crore has been earmarked for the TDB. "Unlike the vicious propaganda unleashed by some, the government does not appropriate even a single paisa from the income of the Sabarimala Temple. "Unfortunately, some politicians masquerading as devotees are falsely propagating that the government is siphoning off the money of Sabarimala temple with the aim of destabilising the Devaswom board by dissuading devotees from offering money," Isaac said. The minister also said that Rs 36 crore has been allocated for the Malabar and Cochin Devaswoms in this budget. The government aims to provide maximum facilities at Sababrimala on the lines of the Tirupati model, he said. Isaac also said that the Kerala Infrastructure Investment Fund Board (KIIFB) has been implementing projects worth Rs 141.75 crore to provide modern facilities at Sabarimala base camps at Nilackal, Pamba and important interim shelters. The budget has allocated Rs 39.59 crore for a sewage treatment plant having a treatment capacity of 10 million litres at Pamba. The government has also earmarked Rs 102.16 crore for various facilities related to Sabarimala, besides Rs 200 crore for road works in adjacent areas of the temple town this year. "For road works in Sabarimala, Rs 89 crore was alloted in 2016-17, Rs 140 crore in 2017-18 and Rs 200 crore in 2018-19. For long-term upgradation works for the rest of the roads, Rs 200 crore has been allotted in 2019-20, taking this to a total of Rs 629 crore," Isaac said. The TDB had sought financial aid from the government following a drastic fall in revenue during the just concluded Mandala-Makaravillaku festival at the Ayyappa temple. The August floods and the recent massive protests by right wing activists and devotees over the women''s entry issue at the temple had led to a revenue dip of Rs 100 crore in Hundi collections and ''prasadam'' sales this year. 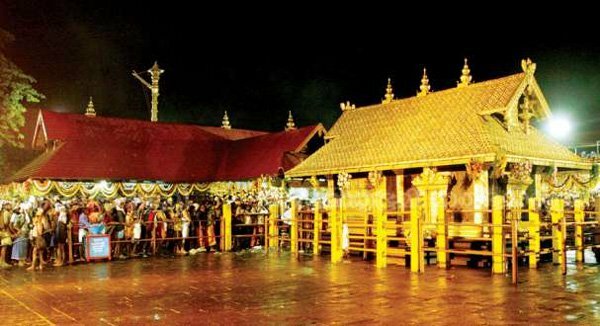 Right wing outfits had also allegedly asked devotees not to make any money offerings at hundis in temples managed by the TDB as a mark of protest against the CPI(M)-led LDF government''s stand to implement the Supreme Court verdict, allowing women of all age groups to offer prayers at the hill shrine. The nearly two month long festival had witnessed protests by frenzied devotees at the temple complex.